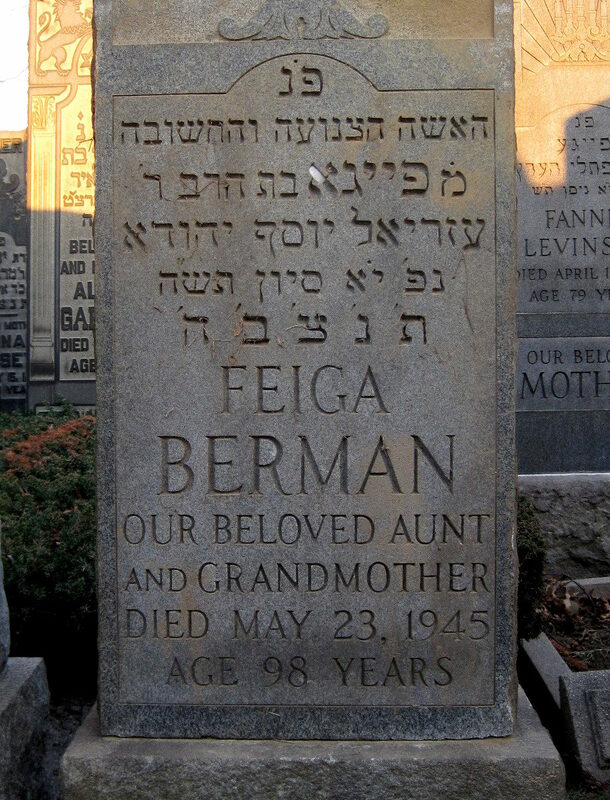 A few months ago while visiting the resting places of my ancestors and other relatives, I suspected a fallen gravestone to belong to my second great grandmother, Feige Berman. I asked for the stone to be reset and repointed and paid the required fee. Having discovered more ancestors buried at the same cemetery, I revisited recently. I paid a visit to Feige Berman to check on the gravestone, and it had been reset. The engraving offered a new clue, but before I get to that, I had discovered more information about Feige from public records. Her son, Samuel, married Anna Neckameyer in 1919. This was the first marriage certificate I received from the New York Department of Records once I started searching for hard evidence beyond online tools like Ancestry.com. The certificate indicates Feige’s — or Fanny’s — maiden name is Short. That is the information I still have on my family tree, but it contradicts with something else. “Feiga bat haRav R. Ezriel Yosef Yehuda.” This indicates her father was Rabbi Ezriel Yosef Yehuda, and as I know from census records and Feige’s death certificate, he is from Russia. Feige was born at 1848, so there is a good chance that the Rabbi was in Russia around that time. 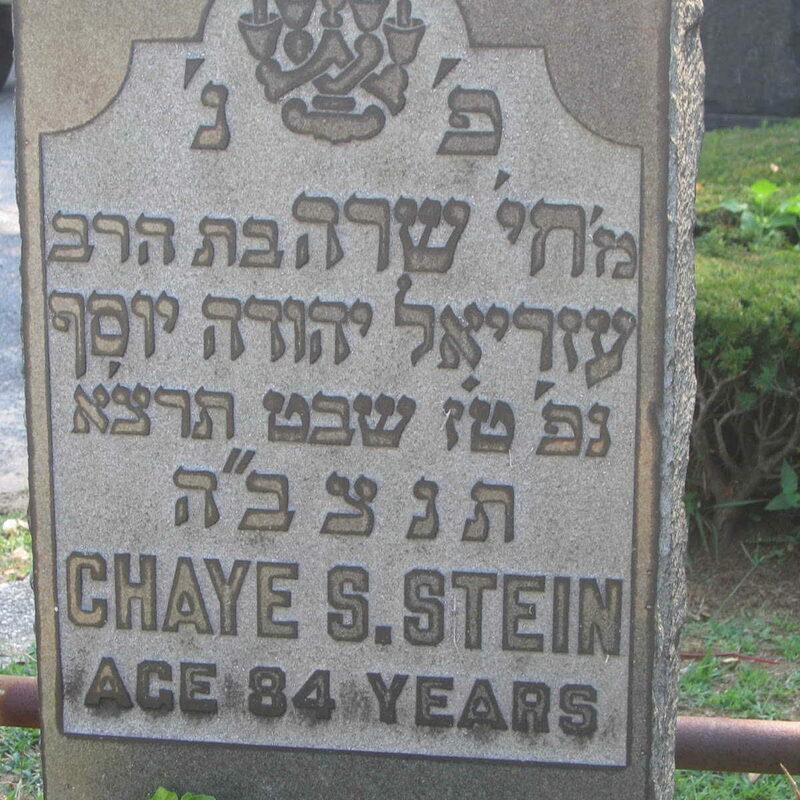 I’ve searched the internet and JewishGen, but I have not been able to find any Rabbi with that name. I’m not sure where to go next. 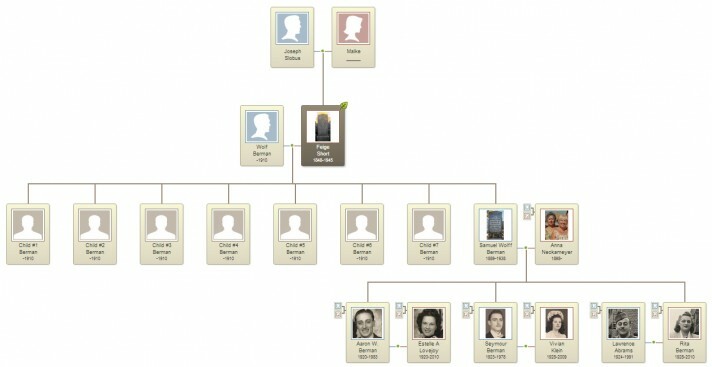 I’ve posted a message on the Ancestry.com message board, looking for some assistance or clues. And I’m publishing this article on my family research blog, to document my research but also to serve as an outpost in the remote chance that someone else happens to be searching for similar information.